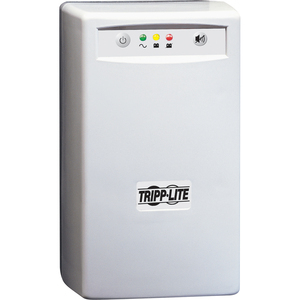 Tripp Lite's INTERNETOFFICE500 standby UPS system offers surge suppression and long-lasting battery support for personal computers, internetworking equipment and other sensitive electronics. 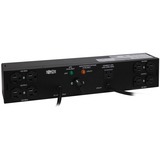 Internal UPS circuits support entry-level PC systems for up to 30 minutes during power failures and brownouts. 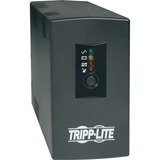 Offers complete desktop power protection in a gray tower configuration. Includes 3 battery-supported outlets plus 3 additional surge suppression-only outlets for system accessories not requiring battery support. USB port enables unattended system shutdown without data loss. PowerAlert software available via FREE download from www.tripplite.com. 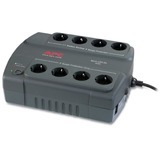 Built-in TEL/DSL or ethernet line surge suppression. Built-in audible alarm and 3 front-panel LEDs indicate line power status, battery power status and battery low/replace status. 500VA/280W power handling ability. Offers 4 min. battery runtime with a full load of 500VA and 15 min. with a half load of 250VA. 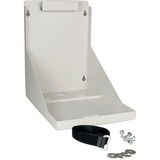 Supports user battery replacement.